Racing Hero: Ayrton Senna - he was the best! Crew: Shad Roth, James Nieman, Kurt Holle, Mike Ciegalman. Sponsors & Support: Nebraska Dent, Russ Kennedy Motorsports, Roth ASCS Power - Shad Roth, Dave Brenning, Jim, Carrol & Angie Pace (Mark's Family), Security Storage - Bob & Soni Muller (Carol's Parents), Universal Financial Strategies - Michael Puls, Fueled by Chiggy, Schaaf Auto Body - Dan Schaaf, CMH Construction - Kurt & Lisa Holle, RMS - Randy Lawrence, Doug McCall, Trade Center Automotive. Many wins at many tracks in Karting. 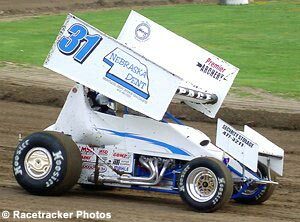 July 1, 2006 at Eagle Raceway was the 12th time driving my #31. I started 18th in the A Feature. I led the race for ten laps until a lapped car went high in turn three and I slid up the track. I hit the fourth turn wall, breaking the Jacob's ladder and puncturing both rear tires. Chad H. passed me for 1st in turn two. I held on for the last seven laps with a wounded car to finish 2nd. Finished 2006 in the Top 15 at Eagle Raceway, 6th in Points for ASCS Midwest Regional, and I received an award for Most Improved Driver in the ASCS Midwest Series - WHAT A BLAST!! I raced Karts a few times in Europe and Australia prior to racing dirt ovals. I started racing Karts in 2002. My paintless dent removal business keeps me on the road most of the summer season and I never raced a full Karting season. I owned the Kart shop, Uncle Frank's of Lincoln, and built Spellman Karting Raceway in the Lincoln area until 2005. 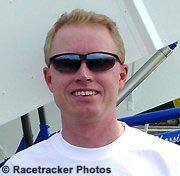 Spring 2006 was my first time ever in a Sprint Car. I was working dents in Canada during all the practice dates, and April 8th and 15th were rained out. My first time driving my #31 was April 22nd, 2006, for hot laps at Eagle Raceway. Not to run out of talent half way through a corner! Be fast and smooth. HAVE FUN!